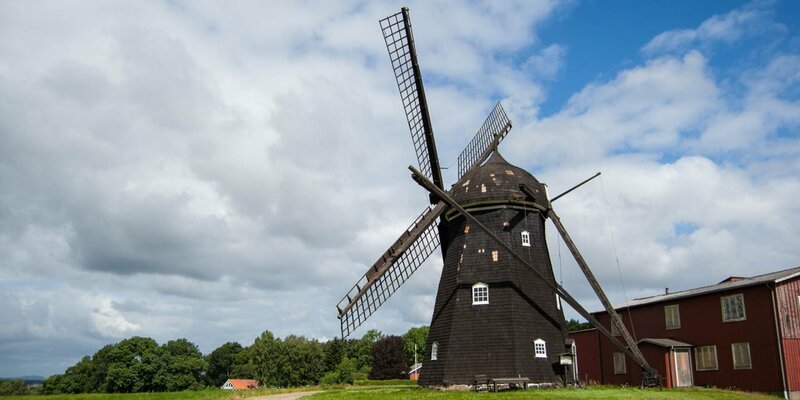 Farhults Mölla is a fully restored and functional Dutch windmill, also called smock mill. It is located in the village Farhult at the bay Skälderviken, about 4 kilometers east of Jonstorp. The four-storey mill was built in 1850 and in regular operation until 1956. It has two stone floors and a 25-horsepower motor for support. 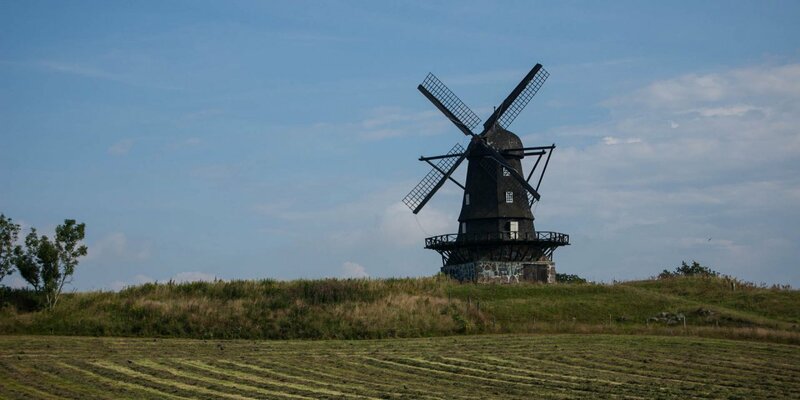 Farhults Mölla belongs to the regional heritage association since 1971, which keeps the mill in good condition. At several mill days per year, the mill is put into operation and can be visited. Otherwise, visits are possible by arrangement. With some luck you just meet a member of the heritage association, who is busy with small maintenance services and can give a short private tour. 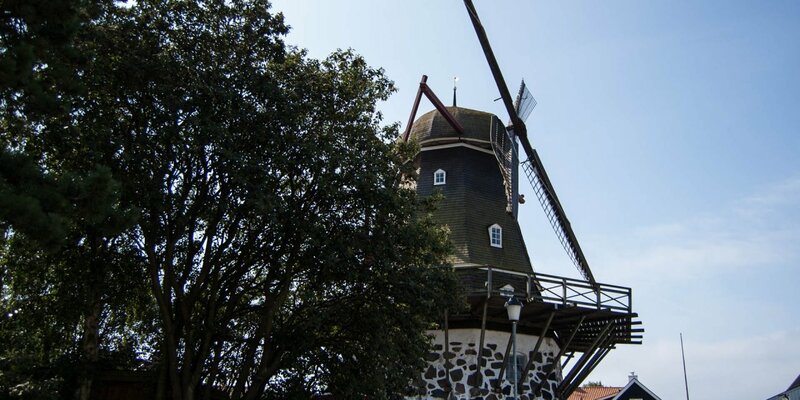 The mill of Farhult was built by the mill constructor Nils Svensson in 1850 on behalf of two farmers who cultivated their farms nearby. Thereafter the mill had several owners, the last one was Birger William Josefsson. He took over of the mill in 1927 and installed the engine to support during times of low wind in 1954. The mill was shut down due to illness in 1956 and the mill fell into disrepair in the 1960s. 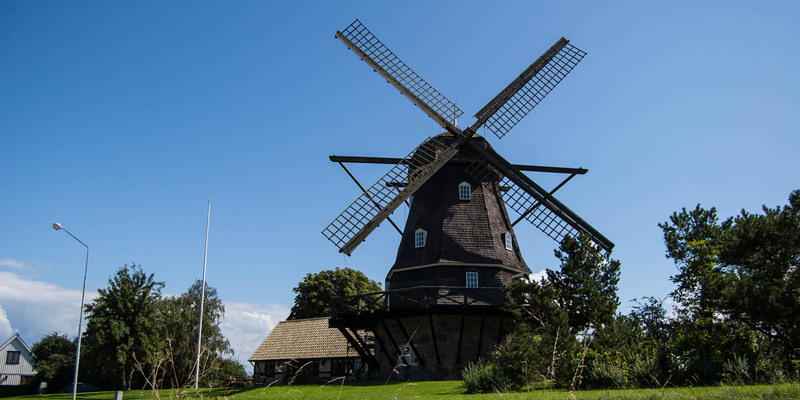 The municipality Höganäs bought the decaying mill for 16,000 crowns in 1971, leaving it to the heritage association Kullen, which created a mill committee for the repair and maintenance of the mill. After countless hours of working and expenses of around 75,000 crowns, the mill was fully renovated and inaugurated on June 30, 1974.